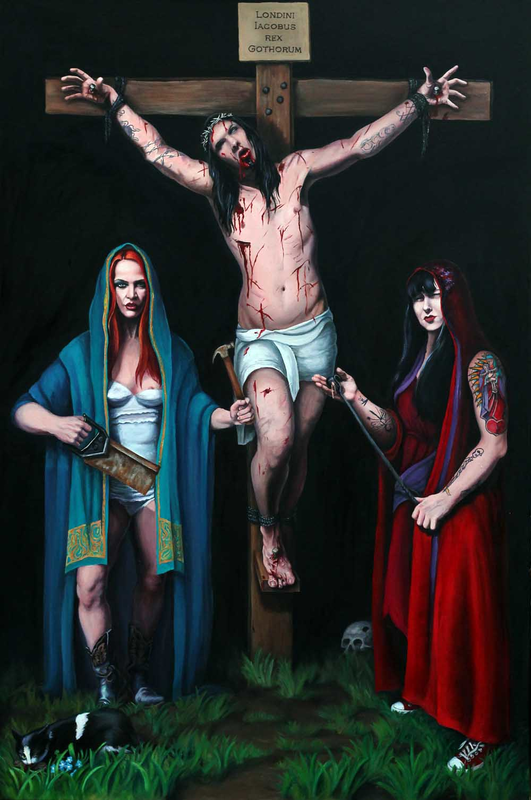 Mother Mary and Mary Magdalene are caught in the headlights as they move to cut James down from the cross. Don't mess with these women. They mean business.